I bet they don't tell Donnie. He likes hearing about anyone that actually bothered to show up for his inauguration. Searching 'J20' or 'inauguration protest trial' on Faux Noise yields "0 results found". Wow, there was some illegal, even destructive activity that happened. For them to not be able to convict anyone is an absolute humiliation for the cops and prosecutors. Even when prosecutors withhold evidence, it is extremely rare for them to be sanctioned. Yet, in spite of this Kerkhoff appears to have been promoted. Former J20 defendant and activist Elizabeth Lagesse noted that Kerhoff has been promoted to Felony Major Trial Section Chief. This would mean she is now head of her department. This is absolutely unacceptable. Kerkhoff and anyone else involved in the J20 prosecutions should be held accountable for electing to bring mass felony prosecutions, which attempted to criminalize core First Amendment freedoms. And a prosecutor who violates the due process rights of defendants while making material misrepresentations to a judge should not be section chief. Violating rights, breaking trial law and being utterly, 0-200 incompetent get rewarded by Sessions' DoJ aslong as the politicized, pro-POSPOTUS agenda is served. "The American people are drowning in rules and regulations promulgated by unelected bureaucrats..."
Lying video editor James O’Keefe, again. You are a disgusting excuse for a healthcare facility. Shame. I would ask you to share this note with your ER MDs and staff, but I'm sure that you're too cowardly and disdainful of patient rights to ever do that. The author says, "In 2008 I wound up with 52 others on a terrorist watch list kept by the Maryland State Police." Seems to me that's the point where Pat's life ran off the rails. Being on a terrorist watch list - rightly, wrongly, or by mistake - is fershure going to subject a person to abuse by TSA. If this one is his worst experience since 2008, he's lucky. Knowing you're on a watch list and expecting to slide through security without issue is pure Pollyanna. *** His life is not "off the rails" a bit. US government is. *** One of the reasons we have to fight terrorism is because of global abuses by the US and its allies like NATO, an organization this nonviolent activist opposes. *** The terrorist watch lists are intentionally used to repress legit dissent as much or more than they are to combat terrorism. *** Once the scarlet "T" is placed on a person it will never be removed, and there is no interest in removing it from dissidents. *** It's easy to shake one's head at this waste of anti-terrorist resources, but it's not a waste at all. The resources are being employed against dissidents exactly as they're intended to be. *** If they will do this to a clean-cut, elderly, white, Catholic school grad with an MA in Government from the University of MD, lifelong pacifist with national and global influence, middle school teacher, small businessman, accomplished author, candidate for Congress and father, imagine what they will do to more marginalized people. *** This abusive anti-terrorist bureaucracy is allowed to operate openly even in neutral and relatively decent nations like Ireland, no doubt due to US coercion. *** Americans will accept any abuses if the anti-terrorist label is applied to them. 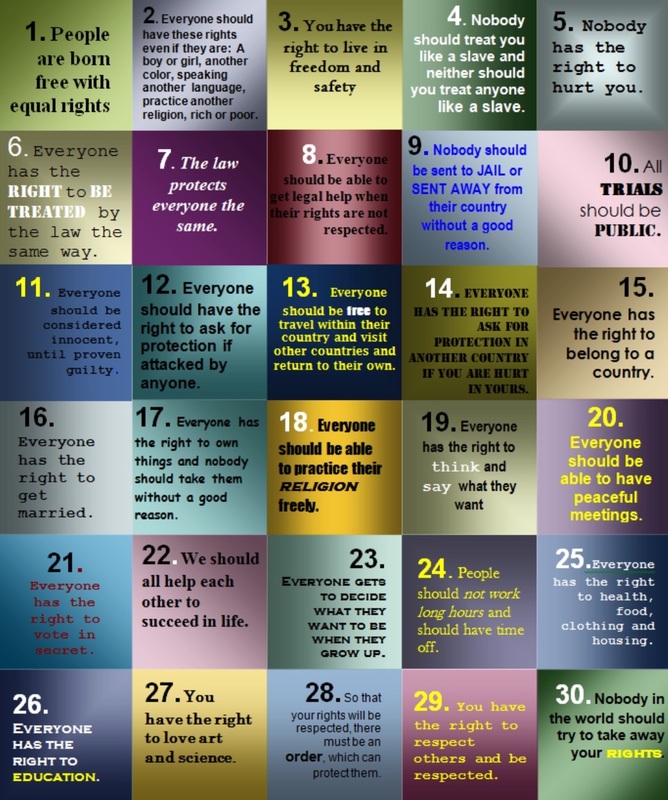 *** Look at how many of the principles in the Universal Declaration of Human Rights cited above were violated by the activist's treatment at the hands of the authorities, yet few think of the US as a large scale human rights abuser. It was probably that "candidate for Congress" part that got him. That was this year vs prospective Majority Leader Hoyer. We've been fighting back against this tidal wave of anti-protest bills for years. We work with grassroots activists on the ground and are leaders in a diverse coalition of national groups defending the right to protest. We've had victories and we've had defeats. Today, we're launching a series of toolkits designed to help activists fight these bills wherever they may pop up. They're based on our years of experience. They include background readings, fact sheets and talking points, sample letters to the editor and testimony, and even grassroots success stories. In addition to these toolkits, I would like to direct your attention to Defending Rights & Dissent's new interactive resource hub. It allows you to filter through the vast array of resources on our website by subject, location, type of resource, or date. Anti-protest bills didn't emerge in a vacuum. They are responses to successful social movements that challenge the status quo. In the past, we've seen anti-protest bills emerge as direct responses to Black Lives Matter, anti-pipeline, or campus protests. And with a new wave of teacher strikes and labor militancy, we can expect even more assaults on our right to protest. I'm not so sure it will be WaPo getting schooled on this one. They used the "Washington Post" name, in it's typeface, and in a template that looked a lot like the Post. Sure, the date was in the future, the "Democracy..." quote was different, but that real or very-real-looking logo might be a problem. They could have named their parody the "Washington Past" or maybe better the "Pist" or something, and they could make a paper that resembled the Post, but I'm reasonably sure you can't just tag somebody's real logo onto your parody and call it "fair usage". For example, "The San Francisco Chomical" parodies "The San Francisco Chronicle" but it doesn't use the real name/logo. Even if it proves fruitless, I think WaPo is right to publicly yell about this, given the unrelenting criticism aimed at all news media.